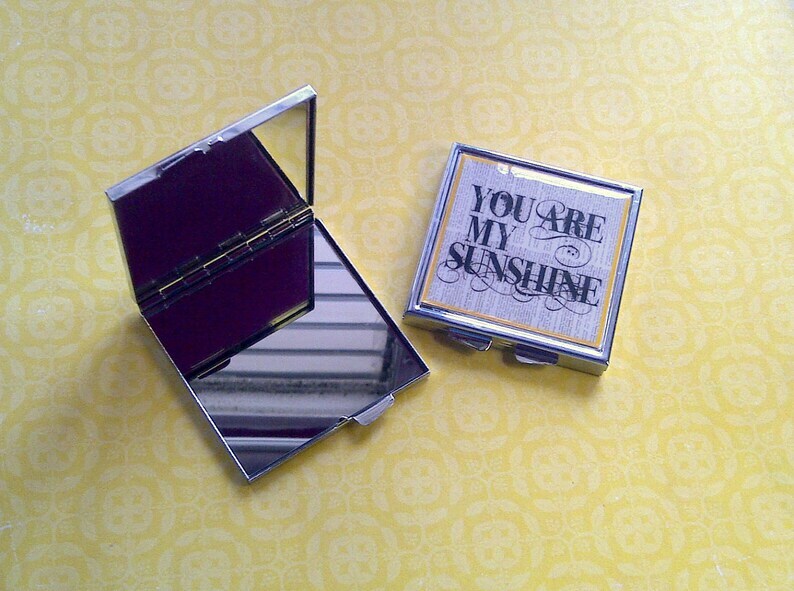 You’ll enjoy pampering yourself with this silver tone compact. Two mirrors inside the compact make checking hair and makeup a breeze. Perfect gift idea for women of all ages. Customized with the photo of your choice.